How can we teach children that they ‘should’ remember them? 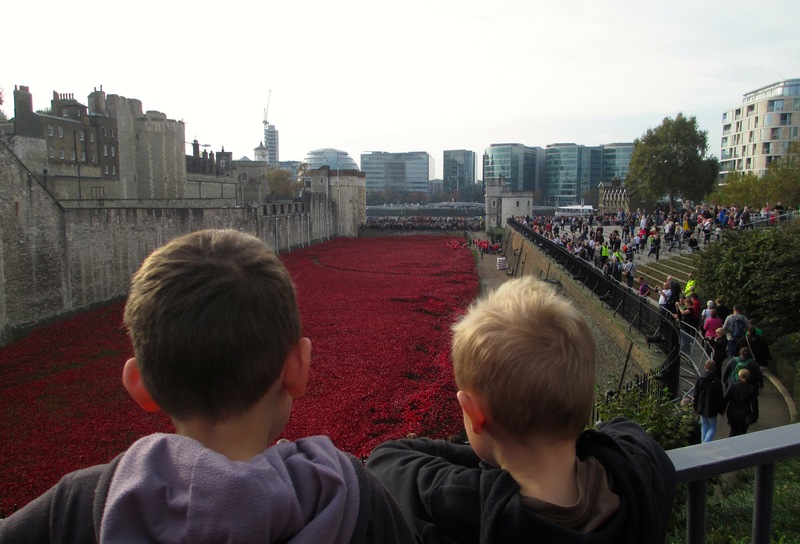 Over half term two of our boys went to see the poppies at the Tower of London with their Grandmother. This amazing art installation is the ‘must see’ attraction in London this autumn. My boys, like many others, were very moved by seeing the 888,246 poppies, each one representing a life lost in the First World War. I was encouraged and inspired by the way our boys responded to the poppies, not merely as ‘wowed’ tourists at the visual spectacle, but reflectively, as they were moved by the thought of all those lives given up in service of our country. I was struck by the importance of each generation passing something of honour and value on to the next, to continue the remembrance of the sacrifices of others gone before. My question is how can we best do that? So much has changed since 1914; the passing of time brings change, and each generation sees the world differently. As the vicar of an intergenerational church, I see that at every level of leading a people who see the world very differently. Whilst the start of the war is being honoured respectfully, and through choice, there can be ungodly control if we exert pressure on younger generations to force them to honour and remember the past in a way we judge to be appropriate. I can remember being sat down after Christmas to write ‘Thank you letters’. They were a duty and obligation, motivated by fear of being judged by an older generation. Thanking former generation is something that values and honours others, but if imposed with control, can become something we resent. There is great value in inspiring younger generations to be grateful for what they have inherited and training them to honour others. It is part of raising a generous generation. This is best done through engaging with their imagination, listening to them and rather than enforcing a ‘you should’ approach, asking them questions about what they’ve already learned. What I’ve learned from our boys’ response is a reminder that there is much more going on inside others of all ages (counter to what we may sometimes assume). So how do we raise a generous generation, which honours the good in their heritage? By listening, talking, inspiring and valuing them and letting what God has placed in them be expressed freely.